Hosted by, Theresa Su, Lesley Chng, Cherry Goh and Otterman. Hi everyone! This is Natalie Quah, Otterman’s intern from Jan to Jun 2019. One of the perks is I get to attend Toddycats HOWL, which I did for the first time last Friday! It was with a mixture of excitement and nervousness as I was waiting to meet various members of the Toddycats, many for the first time. But before long, my nerves were put to rest, because it was dinner time and there’s nothing food can’t fix! It was a delight to reconnect with many familiar faces in the nature community and to make new friends over yummy slices of pizza. Toddycats’ HOWL always begins with icebreakers to warm us up, with a VERY late Chinese New Year theme, haha! Just as we were done, Weiting arrived late after her Changi practical, having kept everyone waiting (geddit? XD), and wrestled through her task as everyone watched. She rose to the occasion and amused all of us! or is she wriggling like a snake?? Various Toddycats then brought us through news and various upcoming events. Joleen Chan on recent roadshows on marine life and marine trash at event by NUS SAVE, NUS PEACE, IYOR, with ADEX akan datang. 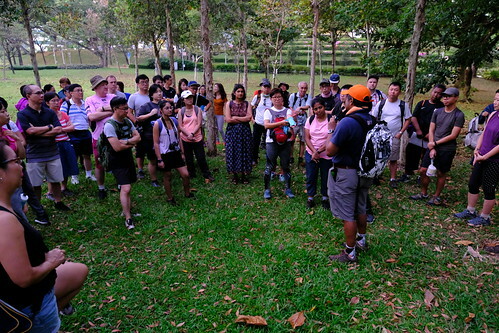 Otterman talked about the Battle of Pasir Panjang Commemorative Walk last Feb. Two decades of this has stimulated other walks – LSM2252 Biodiversity’s Kent Ridge Walk, RVRC’s Ridge Walk for Rice, the NUS Ridgewalks for wellness. 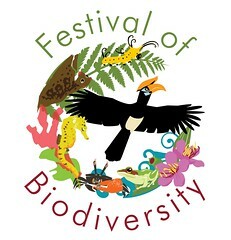 Theresa Su and Xu Weiting brought us through the training lead up to field trips and workshops for the Festival of Biodiversity in May. 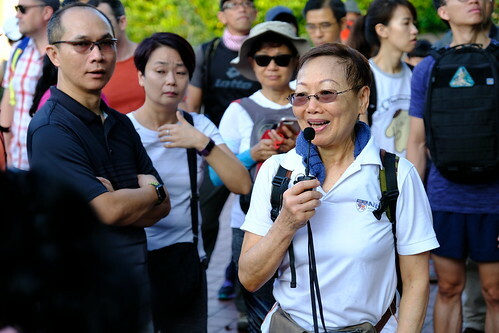 Chloe Tan explained the rationale behind the Love MacRitchie movement and about the Love MacRitchie walks by Toddycats, now in their sixth year! Stephen Beng shares his ocean experiences with what we realised to be a pretty terrestrial bunch of Toddycats. A heartfelt reminder to remain Captivated, Compelled and Connected! The dialogue: answering questions, hearing opinions and sharing thoughts. Stephen’s strong affinity with the ocean and his passion for resolving issues through Friends of Marine Park came through clearly during this session and I was personally inspired to work harder for our local biodiversity! So my impression of my first HOWL? We had a mix of both sillyness and solemness, leaving everyone feeling full, just like the moon! A big, round moon in the background, with the HOWL organisers. In 2013, a shocking announcement was issued by LTA about the proposed Cross Island MRT Line. 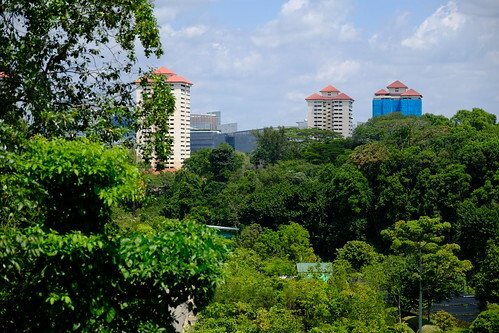 This proposal to tunnel under the precious and fragile MacRitchie Forest ecosystem was met by nature groups in various ways. 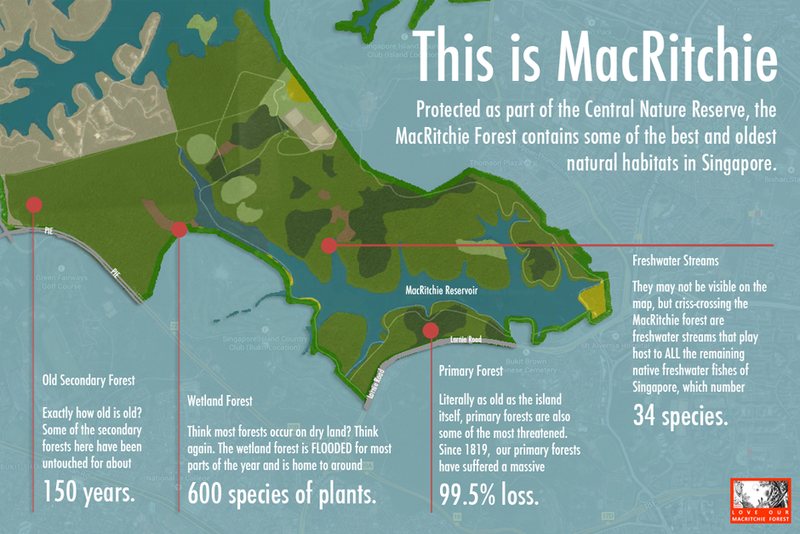 The Love MacRitchie campaign began in 2013 with the unprecedented announcement of the Cross Island Line through the nature reserve. 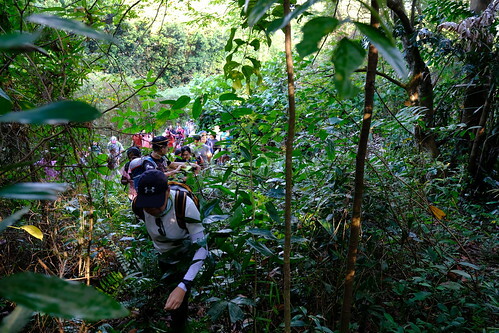 One of those responses was the Love MacRitchie movement, a collective effort by several nature groups in Singapore who share the uniqueness and value of our heritage which is the MacRitchie Forest. 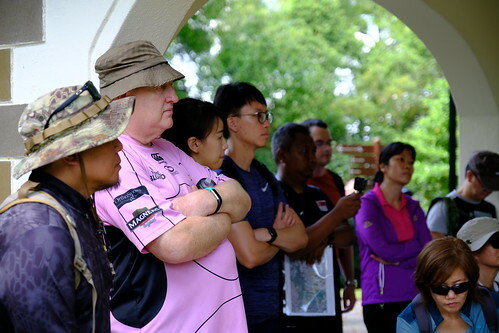 In addition to talks about the issue, education of students and engagement with the media, members of the group also offer guided nature walks at MacRitchie. 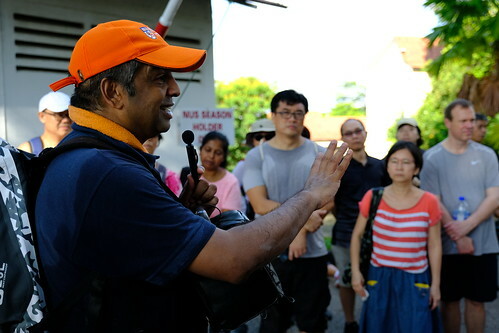 Join our nurturing guides on a walk to discover your heritage, understand why we have a love for such spaces, and lend your voice to save MacRitchie from this and future threats. The walks, which began in 2013, have continued to the present time, even as the investigation and debate on the alignment of the Cross Island Line continues. Find out more during the Love MacRitchie walks in the first half of 2019 by visiting the Love Maritchie Eventbrite page to register. 13 Jan – Venus Loop with NUS Toddycats! 9 Feb – Venus Loop with NUS Toddycats! 10 Mar – Venus Loop with NUS Toddycats! 13 Apr – Venus Loop with NUS Toddycats! 5 May – Venus Loop with NUS Toddycats! 8 Jun – Venus Loop with NUS Toddycats! walk participants. May they be ever safe. The NUS Toddycats roadshow team was back at NUS UTown SRC again on Wed 20 Feb 2019, at the invitation of NUS PEACE which includes the various projects, NUS Cat Cafe, NUS Paw Friends (feat Mutts & Mittens), NUS Therapy Dogs and VEGE team. The NUS Toddycats booth, all ready to welcome guests with our museum specimens, photo props and friendly guides, Lixin and Wan Wen. The museum specimens, together with the stories allowed the audience to better understand how plastics that we use in our daily lives can be such a big threat to our marine wildlife. After listening to the plight of our marine environment and marine life, many were game to do take a pledge, a small step to making a difference to the environment. This awesome exchange student already attended a Sembawang Beach coastal cleanup and asked how to contribute MORE! We love reading all the pledges penned down by the public, including these, by the NUS Pawfriends and Mutts& Mittens team! the pledge items, just like this role model! We had a blast talking to everyone who stopped by, and were glad for the many who penned a pledge to demonstrate their love for nature and the environment in Singapore. Thanks to NUS PEACE for the great experience amidst many passionate and active volunteers who were busy raising awareness for animal welfare, animal shelters and promoting a cruelty-free diet. And our furry friends who visited with us. Well done NUS PEACE! NUS Toddycats are at U Town Plaza in NUS these two days (14 & 15 Feb 2019), to feature Marine Life and the Threat of Marine Trash with a road show, thanks to NUS SAVE. Visit the roadshow and meet all the partners, internal and external the they have lined up! At NUS Goes Lite 2019: Go BYOnd!, organised by Students Against Violation of the Earth (SAVE), learn about SAVE’s upcoming green initiatives, learn how you can go beyond BYO, and check out what the NUS student environmental community (and beyond) have been up to! Toddycats were all setup and ready before the lunch time crowd! finding out more about plastic pollution and its impact on marine life. they face in the ocean from trash, ironically of mainly terrestrial origins. 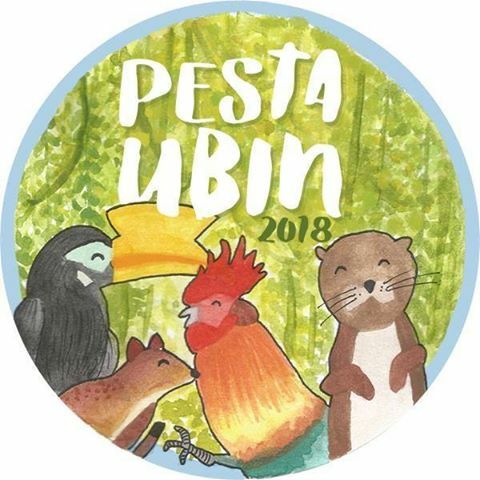 Kickstarting a series of monthly explorations of nature for Toddycats, we visited Pasir Ris Park to enjoy the lovely birdlife and take note of the diverse habitats within Pasir Ris! 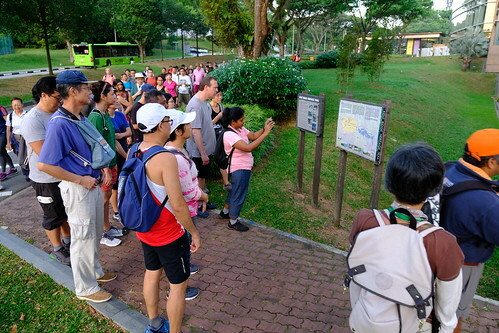 On Saturday 12 Jan 2019, 7.30am – 10.00am, 7 participants (2 youths from Biodiversity Friends Forum and 5 Toddycats) went for a birdwatching trip along the Tampines River. We observed the majestic egrets, grey herons and black-crowned night herons resting along the river bank from the bridge near Carpark B. 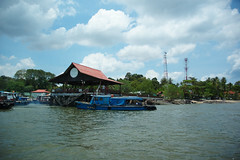 We followed the Tampines River down to the sea and were ecstatic to spot a family of smooth-coated otters! They were just off the coast, looking for yummy fish to eat as breakfast. This is the famous family which include Aquarius, rescued last year from a cut into its flesh by a deadly plastic ring by the Otter Working Group. Loud squawking calls beckoned us towards a stand of tall trees which were host to a breeding colony of herons, a heronry. Grey Heron adults were flying to and fro several nests which made for an active scene – treetops were bustling as they brought twigs in their beaks. To our delight, we did indeed find egg shells below the trees as Morten Strange had alerted us about earlier via email, which are likely to be an indication of recently hatched chicks. Tembusu trees were in wondrous bloom near Car Park C – the plants were living up to their species name, Crytophyllum fragrans, which means ‘sweet smelling’. Indeed the was filled with the sweet smell of its flowers, which one Toddycat likened to Pokka green tea. Amidst the blossoming flowers, were a male and female pair of olive-backed sunbirds busy drinking its nectar. We were not disappointed to see an Oriental Pied Hornbill, a species which was once extinct in Singapore, but are now commonly seen in many places in Singapore. And another delight – we watched the resident spotted wood owls! Despite being high up in the canopy, everyone still managed to get a good look at them resting. Happy faces after the walk! HOWL 23 (14 Dec 2018) – And happy birthday Otterman! HOWL23 was hosted by: Theresa Su, Tang Yong Jen, Lesley Chng on 14 Dec 2018. HOWL 23 was full of fun and games as we celebrated our dear Otterman’s birthday! This session, hosted by the one and only TTYL (Toddycats Theresa, Lesley and Yong Jen), was packed with food, laughter and games of all sorts, as we relaxed (for once) and enjoyed the fellowship. Starting off with a game called “5 Second Rule”, the Toddycats were split into the Toddycats Lions (the older Toddycats who roared!) and the younger group of mostly undergrads. Each player had to come up with three items in a given category – all within 5 seconds! Pitting experience with fast wits, just imagine how stressful it was! Next was “Don’t Say It!”. We talked to each other enthusiastically, and had to be tricked by our companions into uttering the unknown word stuck to our foreheads – the room exploded in conversation with people with post-its on their heads, trying to trick each other into uttering their forbidden words! After the mass games, Toddycats broke up into small groups to play card games brought by our volunteers – some we had never heard of before! It was delightful to hear the room fill with laughter as decks of Monopoly Deal, Limpeh Says and Organ Attack were drawn. Then came the most important part of the session. 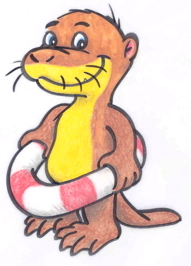 How could we forget our dear Otterman’s birthday? Since everyone loves ice cream so much, we just put the candle into a tub of ice cream and that was our ice cream ‘cake’. With that, we concluded HOWL 23. It was great fun to relax with a lovely bonding session of smiles and joy!